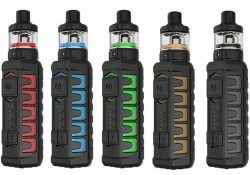 The Batpack Starter Kit features AA battery compatibility for convenience, new eco technology to work well at low wattage, a pocket sized design and restricted airflow to work perfectly with higher nicotine juices. 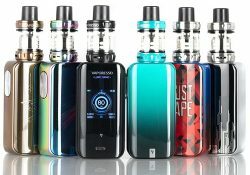 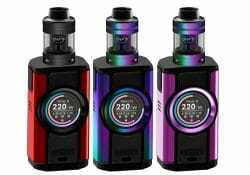 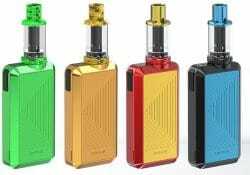 This kit features a massive 1.3 inch full color display, a touch panel withvibrational feedback, a 0.002s firing speed, a 2500mAh integrated battery, a fast 2 amp charging system, a slew of protections, a 3.5ml juice reservoir, a knurled top fill system, qf mesh & strip coils, spitback prevention and excellent flavor production. 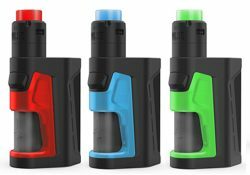 This RDA kit features variable voltage operation with 4 settings, two high drain 18650 batteries, 280 watts of power, a 1.5A charging system, an LED light indicator (blue/green/red) and a plethora of safety protections, a build deck with 1.5mm x 3.0mm post holes and a resin drip tip. 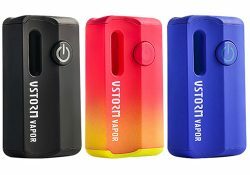 The M1 Mod by Vapor Storm features a durable design, portable form factor, 12mm atomizer compatibility, three voltage modes (3.4V, 3.7Vm 4.2V), a battery LED, an integrated 800mAh battery and a charging system. 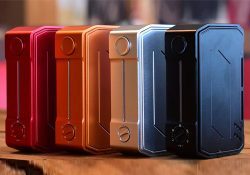 This squonker features up to 180 watts of power, a 6ml silicone juice bottle, a 0.96 inch OLED display, low 0.08ohm atomizer resistance capability and works in both variable voltage and variable wattage modes. 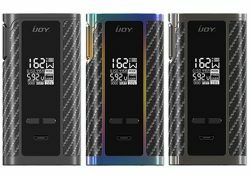 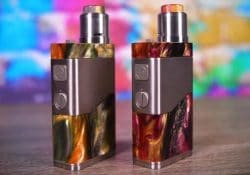 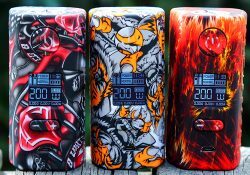 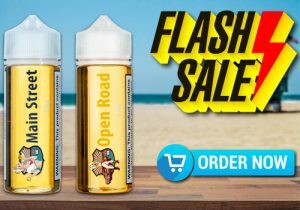 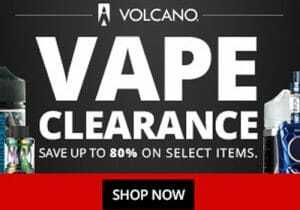 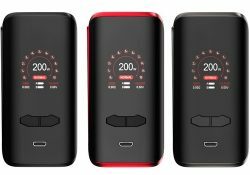 Check out these cheap deals for the Voopoo/Woody Vapes X217 Box Mod. 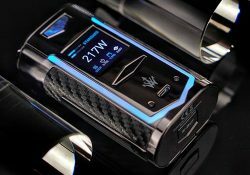 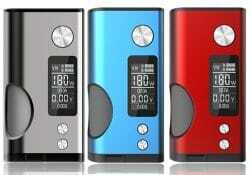 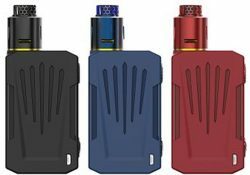 This device features resin/leather inlays, dual 21700 battery compatibility, a full color 1.3 inch TFT IPS HD screen, a beautiful LED stripe surrounding the front, a GENE.FAN chipset, 217 watts of power, multiple safety protections, micro USB charging, power mode, temperature control and low 0.05ohm atomizer resistance capability. 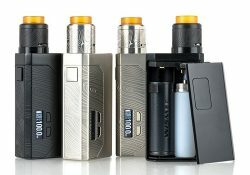 The verstaile kit features a mod that can be used as a regular box mod or squonker, a 7ml squonk bottle, a single 21700 battery (squonk mode) or dual 18650 compatibility (standard mod mode), an interchangeable variable voltage or direct output circuit board, an interchangeable 510 plate, 2 chuff cap options with different airflow settings, a dual post deck with clamp style wire terminals and two drip tip options. 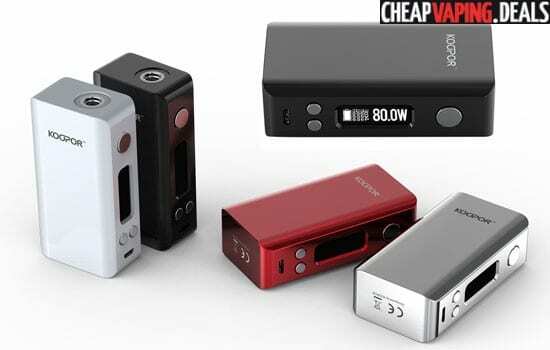 This new mod is a variable voltage device which features 280 watts of power, dual 21700 or 20700 or 18650 battery compabitlity, 4 voltage adjustment settings, low resistance and a battery LED light.